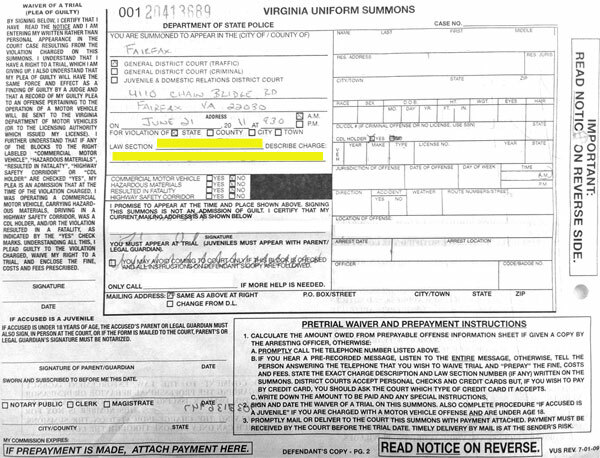 Here are the actual 2011 Virginia State codes that deal with speeding and some of their related offenses and issues. If a driver is charged under federal laws or a local county, city or town code then these statutes may not apply. Contact a local traffic attorney for more information about local and federal speeding laws. The maximum speed limit for school buses shall be 45 miles per hour or the minimum speed allowable, whichever is greater, on any highway where the maximum speed limit is 55 miles per hour or less, and 60 miles per hour on all interstate highways and on other highways where the maximum speed limit is more than 55 miles per hour. The maximum speed limit shall be fifty-five miles per hour on any highway having a posted speed limit of fifty-five miles or more per hour if the vehicle or combination of vehicles is operating under a special permit issued by the Commissioner. The maximum speed limit for passenger motor vehicles while towing utility, camping, or boat trailers not exceeding an actual gross weight of 2,500 pounds shall be the same as that for passenger motor vehicles. Notwithstanding the other provisions of this article, the Commissioner of Highways or other authority having jurisdiction over highways may decrease the speed limits set forth in § 46.2-870 and may increase or decrease the speed limits set forth in §§ 46.2-873 through 46.2-875 on any highway under its jurisdiction; and may establish differentiated speed limits for daytime and nighttime by decreasing for nighttime driving the speed limits set forth in § 46.2-870 and by increasing for daytime or decreasing for nighttime the speed limits set forth in §§ 46.2-873 through 46.2-875 on any highway under his jurisdiction. Such increased or decreased speed limits and such differentiated speed limits for daytime and nighttime driving shall be effective only when prescribed after a traffic engineering investigation and when indicated on the highway by signs. It shall be unlawful to operate any motor vehicle in excess of speed limits established and posted as provided in this section. The increased or decreased speed limits over highways under the control of the Commissioner of Highways shall be effective only when prescribed in writing by the Commissioner of Highways and kept on file in the Central Office of the Department of Transportation. Whenever the speed limit on any highway has been increased or decreased or a differential speed limit has been established and such speed limit is properly posted, there shall be a rebuttable presumption that the change in speed was properly established in accordance with the provisions of this section. It shall be unlawful to drive any motor vehicle, trailer, or semitrailer on any public bridge, causeway, viaduct, or in any tunnel, or on any interstate at a speed exceeding that indicated as a maximum by signs posted thereon or at its approach by or on the authority of the Commissioner of Highways. The Commissioner of Highways, on request or on his own initiative, may conduct an investigation of any public bridge, causeway, viaduct, tunnel, or interstate and, on the basis of his findings, may set the maximum speed of vehicles which such structure or roadway can withstand or which is necessitated in consideration of the benefit and safety of the traveling public and the safety of the structure or roadway. The Commissioner of Highways is expressly authorized to establish and indicate variable speed limits on such structures or roadways to be effective under such conditions as would in his judgment, warrant such variable limits, including but not limited to darkness, traffic conditions, atmospheric conditions, weather, emergencies, and like conditions which may affect driving safety. Any speed limits, whether fixed or variable, shall be prominently posted in such proximity to such structure or roadway as deemed appropriate by the Commissioner of Highways. The findings of the Commissioner shall be conclusive evidence of the maximum safe speed which can be maintained on such structure or roadway. The maximum speed limit shall be twenty-five miles per hour between portable signs, tilt-over signs, or fixed blinking signs placed in or along any highway and bearing the word “school” or “school crossing.” Any signs erected under this section shall be placed not more than 600 feet from the limits of the school property or crossing in the vicinity of the school. However, “school crossing” signs may be placed in any location if the Department of Transportation or the council of the city or town or the board of supervisors of a county maintaining its own system of secondary roads approves the crossing for such signs. If the portion of the highway to be posted is within the limits of a city or town, such portable signs shall be furnished and delivered by such city or town. If the portion of highway to be posted is outside the limits of a city or town, such portable signs shall be furnished and delivered by the Department of Transportation. The principal or chief administrative officer of each school or a school board designee, preferably not a classroom teacher, shall place such portable signs in the highway at a point not more than 600 feet from the limits of the school property and remove such signs when their presence is no longer required by this section. Such portable signs, tilt-over signs, or fixed blinking signs shall be placed in a position plainly visible to vehicular traffic approaching from either direction, but shall not be placed so as to obstruct the roadway. Such portable signs, tilt-over signs, or blinking signs shall be in a position, or be turned on, for thirty minutes preceding regular school hours, for thirty minutes thereafter, and during such other times as the presence of children on such school property or going to and from school reasonably requires a special warning to motorists. The governing body of any county, city, or town may, however, decrease the period of time preceding and following regular school hours during which such portable signs, tilt-over signs, or blinking signs shall be in position or lit if it determines that no children will be going to or from school during the period of time that it subtracts from the thirty-minute period. The governing body of any city or town may, if the portion of the highway to be posted is within the limits of such city or town, increase or decrease the speed limit provided in this section only after justification for such increase or decrease has been shown by an engineering and traffic investigation, and no such increase or decrease in speed limit shall be effective unless such increased or decreased speed limit is conspicuously posted on the portable signs, tilt-over signs, or fixed blinking signs required by this section. The City of Virginia Beach may establish school zones as provided in this section and mark such zones with flashing warning lights as provided in this section on and along all highways adjacent to Route 58. Any person operating any motor vehicle in excess of a maximum speed limit established specifically for a school crossing zone, when such school crossing zone is (i) indicated by appropriately placed signs displaying the maximum speed limit and (ii) in operation pursuant to subsection B of this section shall be guilty of a traffic infraction punishable by a fine of not more than $250, in addition to other penalties provided by law. For the purposes of this section, “school crossing zone” means an area located within the vicinity of a school at or near a highway where the presence of children on such school property or going to and from school reasonably requires a special warning to motorists. Such zones are marked and operated in accordance with the requirements of this section with appropriate warning signs or other traffic control devices indicating that a school crossing is in progress. Notwithstanding the foregoing provisions of this section, the maximum speed limit in school zones in residential areas may be decreased to fifteen miles per hour if (i) the school board having jurisdiction over the school nearest to the affected school zone passes a resolution requesting the reduction of the maximum speed limit for such school zone from twenty-five miles per hour to fifteen miles per hour and (ii) the local governing body of the jurisdiction in which such school is located enacts an ordinance establishing the speed-limit reduction requested by the school board. Operation of any motor vehicle in excess of a maximum speed limit established specifically for a highway work zone, when workers are present and when such highway work zone is indicated by appropriately placed signs displaying the maximum speed limit and the penalty for violations, shall be unlawful and constitute a traffic infraction punishable by a fine of not more than $500. For the purposes of this section, “highway work zone” means a construction or maintenance area that is located on or beside a highway and marked by appropriate warning signs or other traffic control devices indicating that work is in progress. Nothing in this section shall preclude the prosecution or conviction for reckless driving of any motor vehicle operator whose operation of any motor vehicle in a highway work zone, apart from speed, demonstrates a reckless disregard for life, limb, or property. Operation of any motor vehicle in excess of a maximum speed limit established for a highway in a residence district of a county, city, or town, when indicated by appropriately placed signs displaying the maximum speed limit and the penalty for violations, shall be unlawful and constitute a traffic infraction punishable by a fine of $200, in addition to other penalties provided by law. No portion of the fine shall be suspended unless the court orders 20 hours of community service. The Commonwealth Transportation Board or any local governing body having jurisdiction over highways shall develop criteria for the overall applicability for the installation of signs. Such criteria shall not exclude highways, functionally classified as minor arterials, serving areas that either (i) were built as residential developments or (ii) have grown to resemble residential developments, provided, in either case, (i) such highways are experiencing documented speeding problems and (ii) the local governing body requests the application of this section to such highway. Such signs may be installed in any town and shall not require the approval of the county within which such town is located. Any such signs installed in any town shall be paid for by the town requesting the installation of the signs, or out of the county’s secondary system construction allocation. The Commonwealth Transportation Board may classify, designate, and mark state highways and provide a uniform system of marking and signing such highways under the jurisdiction of the Commonwealth. Such system of marking and signing shall correlate with and, so far as possible, conform to the system adopted in other states. All drivers of vehicles shall obey lawfully erected signs. 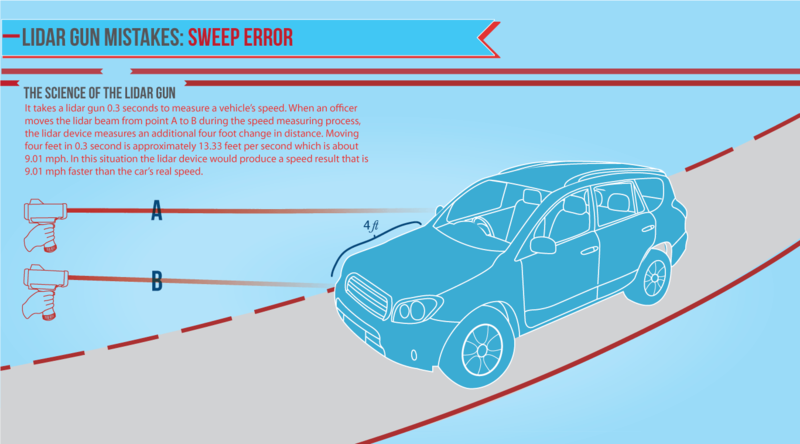 The speed of any motor vehicle may be determined by the use of (i) a laser speed determination device, (ii) radar, (iii) a microcomputer device that is physically connected to an odometer cable and both measures and records distance traveled and elapsed time to determine the average speed of a motor vehicle, or (iv) a microcomputer device that is located aboard an airplane or helicopter and measures and records distance traveled and elapsed time to determine the average speed of a motor vehicle being operated on highways within the Interstate System of highways as defined in § 33.1-48. The results of such determinations shall be accepted as prima facie evidence of the speed of such motor vehicle in any court or legal proceeding where the speed of the motor vehicle is at issue. In the trial of any person charged with exceeding any maximum speed limit in the Commonwealth, the court shall receive as evidence a sworn report of the results of a calibration test of the accuracy of the speedometer in the motor vehicle operated by the defendant or the arresting officer at the time of the alleged offense. The report shall be considered by the court or jury in both determining guilt or innocence and in fixing punishment.